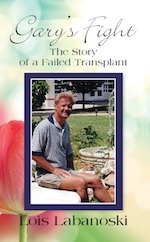 Emotional journey through the aftermath of a kidney transplant failure. Ebook $3.99 Download Ebook instantly! As a healthy twenty-something, Gary never expected to be diagnosed with an incurable disease. Years after Gary had to face the sudden onset of Type-1 diabetes; he is told he now needs a kidney transplant. This is the story of Gary’s fight to lead a normal life with his wife and kidney donor, Lois, by his side. A series of unfortunate setbacks follows Gary after the transplant fails. He must fight his way through more operations, kidney dialysis, and even a car accident. Lois is there every step of the way acting as caretaker, cheerleader, and the one who gets to pick up the pieces in the end. Gary and Lois’s story serve as a reminder that there are other people in the world going through their own personal struggles. Disasters and misfortunes are part of everyone’s lives. The author wants to impart to the readers the sense that they are not alone in dealing with their own struggles. 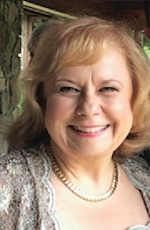 Lois Labanoski is from Mountain Top, Pennsylvania and is a retired elementary school teacher from the Hazleton Area School District. She has a Bachelor’s and a Masters’ Degree in Education from Bloomsburg University in Pennsylvania. Lois enjoys traveling, and singing in local musical groups.